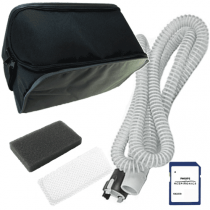 CPAP filters remove dust and hair to protect the patient and the CPAP Machine. 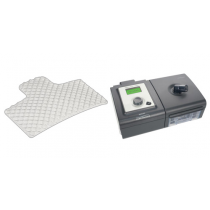 Keeping clean and serviceable filters in use on your CPAP machine is critical to protect you from harmful microorganisms. 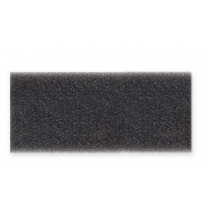 These filters also protect the life of your CPAP device. Hair, grit, mold, and dust can damage your device. 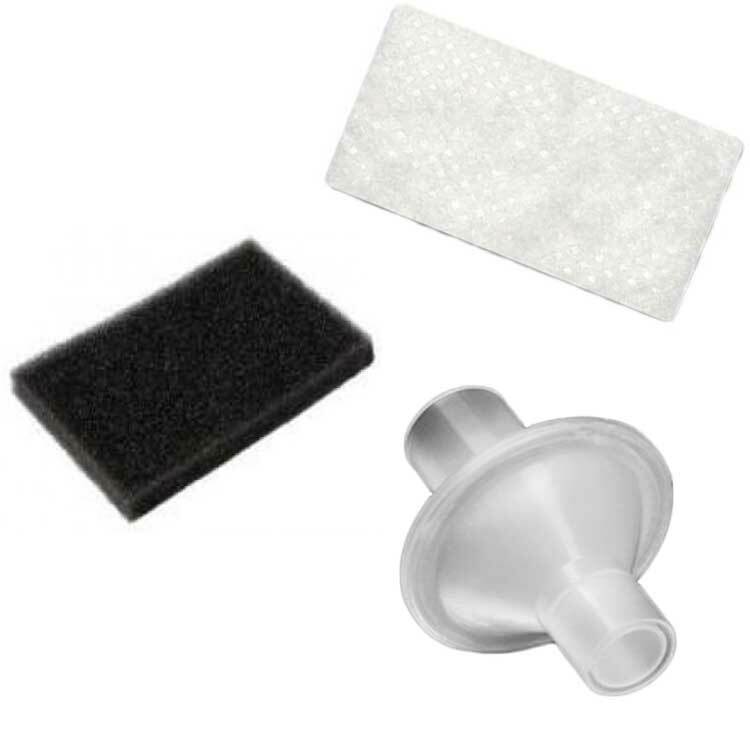 There are three types of filters used on CPAP Machines—Washable, Disposable and Bacteria. 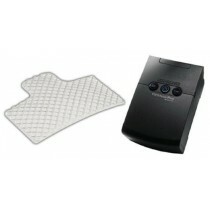 The first filter is an intake filter that screens out hair and dust from entering the CPAP Machine. 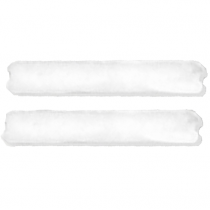 This foam filter is made of polyurethane and is washable with soap and water. This reusable filter may be washed weekly. Shake off excess moisture and then let it dry completely for one to two days before reusing. 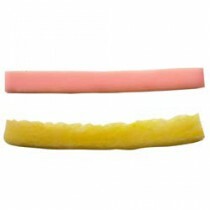 Washable filters should be replaced every six months or sooner if not serviceable. The second filter is disposable. This means that instead of attempting to clean it when it becomes dirty, just throw it away. 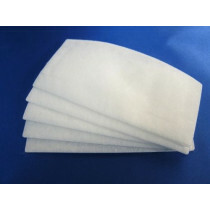 This fine-filter is usually constructed with honeycombed or mesh paper and is positioned behind the foam filter to screen for fine dirt and other harmful particles. 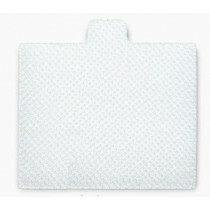 Like the washable filter, it is an intake filter that provides additional safety. Check this filter weekly and when dirty just simply discard it. Always keep an ample supply of filters on hand. 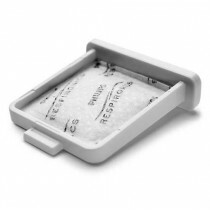 An optional bacteria filter may be added to your CPAP system. 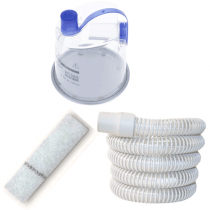 This filter inserts into your CPAP Hose that runs from the CPAP machine to your CPAP Mask. 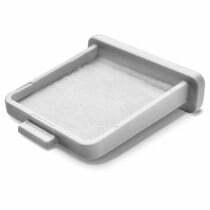 It is constructed with very fine polypropylene that is usually electrostatically charged. 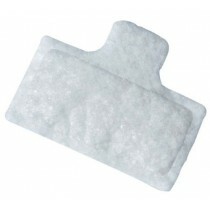 The filter may be placed at the outlet on the CPAP device or on the inlet to the mask as shown on the image below. 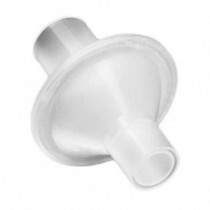 It is enclosed with a plastic bubble and has a female connector on both ends to insert in the CPAP hose. Some refer to this filter as a “bubble filter”. This filter is disposable and should be checked weekly and replaced when dirty. 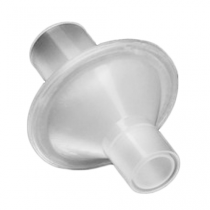 Many patients replace these filters on a monthly basis. Ortolano, Girolamo A., et al. 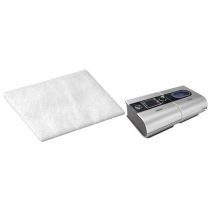 "Filters reduce the risk of bacterial transmission from contaminated heated humidifiers used with CPAP for obstructive sleep apnea." Journal of Clinical Sleep Medicine 3.07 (2007): 700-705. La Piana, Giuseppe Emanuele, et al. "Long-term adherence to CPAP treatment in patients with obstructive sleep apnea: importance of educational program." Patient preference and adherence 5 (2011): 555. Kristo, David, et al. "The potential for delivery of particulate matter through positive airway pressure devices (CPAP/BPAP)." Sleep and Breathing 16.1 (2012): 193-198.